Here in Princeton, NJ the heating system is vital during the winter. It can get extremely cold indoors when the heater malfunctions or breaks down. We need to keep warm and safe in our homes, so it's important to know who to call when we need a Princeton heating contractor. Steele Mechanical, LLC, located in Robbinsville, NJ, is a professional heating and air conditioning company who serves Princeton and other areas of New Jersey. We are skilled residential and commercial HVAC contractors with more than 25 years experience in the industry. With our decades of quality services, our experienced technicians can handle all your HVAC needs including new duct work system installations. When you need professionals you can count on for heating and air conditioning services, call on our experts at Steele Mechanical, LLC. 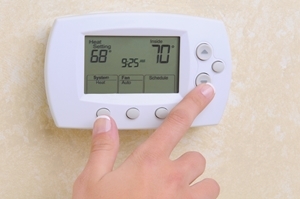 Steele Mechanical, LLC heating repair contractors are available 24 hours a day. We can work on your furnace, boiler, or heat pump systems. If the system breaks down for good and a replacement is needed, it's no problem for our experienced Robbinsville heating repair contractors. Our professional air conditioning repair contractors can fix your A/C unit no matter the problem or cause of the problem. We are fully experienced, trained and certified, licensed and insured professional HVAC technicians. For repairs that last in Princeton, you can count on Steele Mechanical, LLC. Heating & Air Conditioning tune-ups should be done at least twice a year on your system, just before you switch it over for the new season. However, a tune-up is important even if you miss that time frame. Problems that can be difficult to detect are easily be found by our professional HVAC technician. Your HVAC equipment will be thoroughly checked including (but not limited to) parts cleaned and lubricated, connections checked and secured, thermostat inspected and tested, refrigerant levels and controls checked, and air flow and temperature tested. 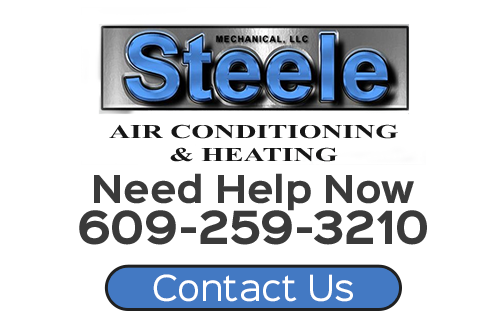 "We highly recommend Steele Mechanical. Dependable and honest. The quality of work was outstanding." "Thank you Scott for your fast efficient service. It’s nice to do business with an honest company!" If you are looking for a professional Princeton heating contractor or air conditioning company, then please call 609-259-3210 or complete our online request form. We had a furnace problem that was going on for a couple of weeks and finally I searched through Yelp and found the reviews for Steele. I called at 6 PM and Scott was over shortly and fixed the problem for a very reasonable rate. I fully recommend Steele for any heating problems. Came for estimate and install as promised. The install went off without a hitch. When I requested additional work ( paint and spack ), he agreed and it was done.He knows his stuff and works clean and neat. Hire him!